An international researcher with a focus on global health, Dr. Gralow discusses progress and challenges in women’s health worldwide. Dr. Julie Gralow is an international researcher who has focused on issues of global health for much of her career. A BCRF and Play for P.I.N.K researcher since 2002, we turned to her this International Women’s Day for her perspective on the successes and continued challenges in women’s health worldwide. Among her leadership roles in the oncology community, Dr. Gralow participates in the Fred Hutch-Uganda Cancer Institute collaboration training Ugandan oncology fellows. She has led efforts globally in breast cancer advocacy, including founding a global women’s cancer advocacy network, the Women’s Empowerment Cancer Advocacy Network (WE CAN), to support cancer survivors and advocates around the world. She is co-chair of a global campaign called the Breast Cancer Initiative 2.5 (BCI2.5) Secretariat, aimed at reducing disparities in breast cancer outcomes. Last year she was the recipient of the Humanitarian Award from The American Society of Clinical Oncology for her ongoing global work. BCRF: What do you think is the greatest global achievement in women’s health in the last decade? Dr. Gralow: Far fewer women are dying in childbirth. World Health Organization estimates show a more than 40 percent decline in deaths related to childbirth between 1990 and 2015. This is a significant accomplishment, but with that success comes new challenges. These women are now living longer to get chronic diseases, including breast cancer. As developing countries are becoming more modernized, we are seeing an increase in the lifestyle-related risk factors associated with breast cancer. A more sedentary lifestyle, lack of exercise, poor diet, and access to fast food are contributing to an increase in global obesity. 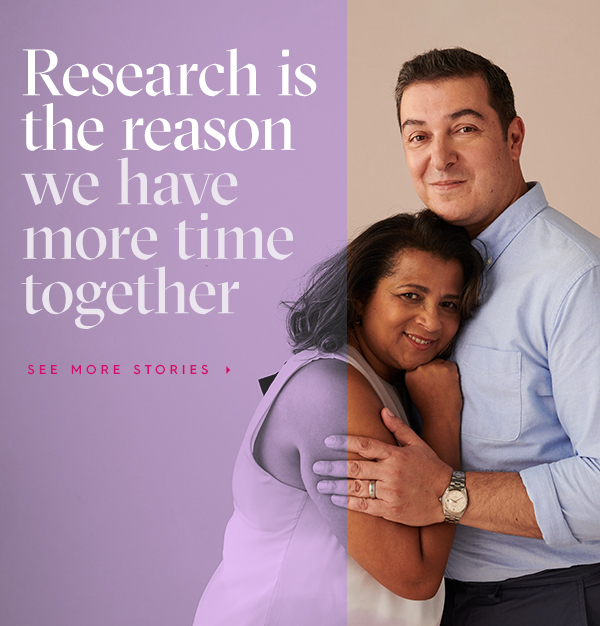 New opportunities for women such as education and employment have resulted in women delaying first pregnancy and choosing to have fewer children, but both of which can contribute to an increased risk of breast cancer. So, while we’ve seen great success in empowering women, it comes at a cost in westernized lifestyles and breast cancer risk, which many developing countries are ill-equipped to deal with. BCRF: Breast cancer is the leading cancer diagnosed in women worldwide. Can we change that? Dr. Gralow: In many of the low- and middle-income parts of the world, we’ve seen an increase in breast cancer awareness and, in some settings, access to breast cancer screening, mostly through clinical exam and in some cases mammography. That is an improvement and a success, but the more access to screening there is the more breast cancer diagnoses we’ll see. Perhaps the more important question is can we reduce deaths from breast cancer. Early detection, with access to a diagnostic workup when a breast abnormality is first identified followed by prompt treatment, is more important than population-based screening, particularly in countries with fewer resources. We’ve seen a tremendous reduction in breast cancer deaths in the U.S. but that is attributably to not only early detection, but also access to treatment. If a woman doesn’t have access to affordable treatment, early detection is not going to reduce deaths. BCRF: What are some of the challenges in improving breast cancer outcomes globally? Dr. Gralow: Poverty, awareness and fear. If we can reduce poverty, we can have a huge impact on breast cancer outcomes. Costs and access to health care are huge barriers to adequate care in rural and low-income areas. A woman may have to decide whether she is going to feed her family or go to the doctor, and she may have to travel long distances. She may fear the stigma or fate of her family if it became known she has breast cancer. In some remote villages in Africa for instance, there are prevailing myths that cancer is a family curse or that the disease could spread to others in the village, causing a family to be evicted from their community. In many remote parts of the world, women don’t survive breast cancer, so a woman may see no benefit to seeing a doctor until she is in pain. BCRF: What are some success stories in addressing these challenges? Dr. Gralow: On my first trip to Uganda in 2010, I met a group of women who had formed a women’s cancer support group called Uganda Women’s Cancer Support Organization (UWOCASO). These were women who had survived breast cancer and were speaking with newly diagnosed women to help dispel some of the myths about breast cancer. Over the years, I’ve seen the group evolve. The have earned the respect of physicians and have become an integral part of the continuum of cancer care. We held our first WE CAN Africa (Women's Empowerment Cancer Advocacy Network) conference in Uganda in collaboration with UWOCASO in 2013. They are making a major impact providing support, overcoming stigma, creating awareness, and improving care for women cancer patients in their country. BCRF: Is there anyone who epitomizes International Women’s Day for you? Dr. Gralow: Gertrude Nakigudde, UWOCASO Chief Executive Officer. Gertrude is a 16-year cancer survivor and a founding member of UWOCASO. She left her job as an accountant to do breast cancer advocacy full time. Gertrude and all the women of UWOCASO and similar support groups in Eastern Africa and throughout the world are heroes. They are making a major impact providing support, overcoming stigma, creating awareness, and improving care for women cancer patients in their country. Recognition of the important contributions of cancer patient advocates in Uganda has led to Gertrude recently being elected to the Board of the Uganda Cancer Institute.